Three-year-old maidens to kick things off with just five of the twelve having raced before. Two of those have showed some ability, however, with (12) CHEON GOE SEONG and (9) ACE TRIPLE coming home 2nd and 3rd respectively when they raced each other at this distance on January 5. Both showed enough that day to suggest they can be fighting it out for top honours this time. The other three didn’t offer much with (11) SUNSHINE LADY perhaps most likely to improve. As for the first-timers, (6) FLOWER ROAD and (8) FEDERAL CAT looked the most promising – although that’s all relative here, really – in trials and are likely to be backed first up. (2) CLEAN UP TRIO was an improved 2nd in what looked a slightly stiffer test than this three weeks ago. He led until the closing stages that day and should be on pace again from the start with solid claims to go one better this time. (11) SPEED HEUKRYONG has shown improvement across three starts so far and beat a couple of these on his way to 4th place at 1000M a month ago. He looks ready to step back up in trip today and should be a danger. (7) WHITE VELVET too has shown signs of figuring things out recently and can go close – he’ll likely join Clean Up Trio on the early speed. (6) BLUE MEGA ELLA did nothing wrong on debut while (12) INCHEON LION also looks to have scope to improve. (2) MAMMA ROMA has shown steady progress across four starts so far and got her reward when scoring over this distance on January 6th. She’s up in class today but could well continue her development and she’s the pick to win here in this all-filly handicap. Runner-up that day was (3) GREEN SARANG and she too comes up in class. She’s still a maiden but she should be competitive at this level. Greater danger may come from elsewhere, though. (4) HEUNG KKAEBI was a winner on debut last September and comes in having finished off last year with a close at hand 4th place in a similar race to this. With some improvement, she’ll be right in the mix to win this. (8) STAR LIST was a class and distance winner four weeks ago and while carrying additional weight today, must be similarly respected. (11) BETTINA is up in class following her maiden win last month and while she perhaps has a bit more to find, isn’t out of it either. It’s hard to look past (8) BI PYEONG here. He’s won just the one time from four starts so far but comes in having run a very good 2nd place to Gaon Force on his first try at this distance on January 5th. He looks to be bound for a higher level than this and should win. Plenty of other useful looking types here as well. (4) DONG JAK ran out a six-length winner over 1300M three weeks ago and is up in class and distance today with potential to get better still. (5) GEUMA ZENITH was a rather optimistic entrant in last November’s Nonghyup Trophy and while that went about as well as expected, he proved his ability by winning in December. He too comes up in class and distance and can improve. (3) BARAM KING and (6) NANGMAN STAR both have experience of this level and can be competitive. (3) GAON FORCE has won his latest two in good fashion (beating Bi Pyeong from race 4 last time out), the latest a front-running win on his first try at this distance. Up in class today, he’s nicely in here and can win again. It’s a good race though. (11) MONEY POCKET is also rapidly moving up the classes. She’s won two from three so far and while she stretches out in trip today, there look to be more to come. (1) SPEED HWANGNYONG is another who tries this distance for the first time. He’s already proven himself competitive at this level with a 3rd and a 4th from two attempts at it so far and he should be close again. 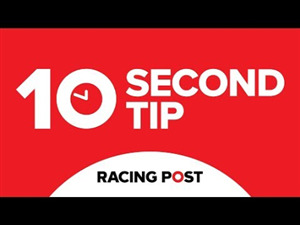 The placing claims go deep with (2) HAPPY MAUNTAIN, (9) STRONG CAPTAIN and (12) SPEED YEONGUNG all firmly in the frame. (2) DOKDO YA is up in class following his maiden win at this distance on December 15th. The 3rd place-getter that day won well last weekend so that form has taken a bit of a boost and he should be the one to beat today. (6) GANGHWA CHONGGAK and (10) BANJIUI HAMSEONG came home 3rd and 4th when they raced each other on January 5th. There was just a head separating them that day and both should be firmly in the hunt again today. (3) SO ARA DAEWANG is a winner at this level and drops back in trip today. He’s been a touch inconsistent across his five starts but can aim for a place. (12) DAECHEON HERO comes on off the back of a useful 3rd last tie at class and distance and he too should be competitive again. (11) LITTLE BOY FLASH didn’t have the greatest of trips, but he still ran out a close 2nd I a similar race to this on January 5th. He’s been getting better across his five outings to date and has as good a chance as any of scoring here. (6) DAEGUNUI GIL is another who seems to be getting closer. He stepped up to this distance last time and while he was beaten ten-lengths by an eye-catching winner, he looks to have decent claims here. (10) REVELSIMMARD somehow managed to win last time at class and distance. He actually carries less weight today in a race that is no tougher, and he must be respected. (8) GOLD BLUE MAGIC and (9) SUN START are others who should go close. Last time out, (4) COVERGIRL JUSTICE began badly and then hung outwards throughout the race to the extent that Stewards placed a warning on her. She still managed to finish 2nd beaten only a nose and with two of these back own the track behind her. If she fixes her manners today, she should win. That race was on January 5th and (9) HAE NARAE was 3rd, three-lengths back and can aim to try and match that finish today. The main dangers to the favourite lie elsewhere, however. (3) CAPTAIN SOCKS and (5) DAEGUN CHEONHA both ran in promising 3rd place finishes on their respective debuts, both at this distance a month ago. The latter was slightly more impressive, but both can build on that today. Meanwhile (7) DAEGUN BULPAE debuted without distinction in October but looked useful in a trial a couple of weeks ago and may improve this time. The first Listed race for fillies and mares of the season and it’s a good one. (6) SILVER WOLF won this race a year ago and she’ll be favoured to strike once again. She spent the remainder of 2018 running in top class company and while she is giving weight to all her rivals here, she is the one to beat. (4) SKY BAY ran out the five-length winner of the Gyeongnam Governor’s Cup over 2000M at Busan last November. She’s favourite to win the Queens’ Tour series this term and looks a very bright prospect. She gets 3kg from Silver Wolf but whether that’s enough at this stage remains to be seen. Nevertheless, she’s the main danger. (10) SEOURI BYEOL and (8) CHEONGSU YEOGEOL came home 2nd and 4th respectively in that race in Busan and they too will be contenders. As for the rest, another bright prospect is (1) SOJUNGHAN SOMANG. While she struggled in the KNN Cup last year, she returned to win well at class 2 over 1400M. She looked very sharp when trialling in January and could be an interesting outsider. (3) JJANG KONG’s first try at this distance on January 12th didn’t exactly go to plan as he had a chastening trip and ended up running into the rails when changing leads with half a furlong to go. The talent he’d shown prior to that means we’re going to give him another chance here though. It’s a very competitive race. (7) GEUMBIRANG is a winner of five from eleven and finished 3rd on his first try at this level last month. He’ll be right in the hunt here. A couple of starts ago he beat (5) K.N. BLUE in what was the latter’s only defeat in his latest five. K.N. Blue himself comes up in class here and can be competitive. (8) BULMYEORUI JEWANG was one of those who beat Jjang Kong last time and is a proven place-getter at this class. Then there’s (11) LION ROCK. He’s returned to form with back to back 3rd place finishes at this level, the latest just two weeks ago, and he’ll surely be a factor again today. 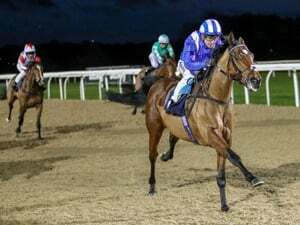 The Nonghyup Chairman’s Trophy in November was a strongly run race and that day’s runner-up, (5) HAVANA CHARLIE returns to action for the first time since. He ran on really well and the additional furlong today should suit. 3rd in the Nonghyup was (11) SUPER FLUID. 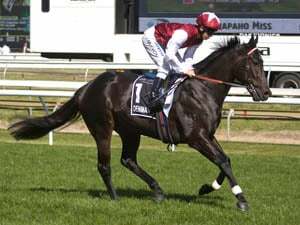 He stepped up to 1700M just before Christmas and ran out a five-length winner at this class. That makes him a slight favourite over Havana Charlie here but it’s a fascinating match-up. It’s not a two-horse race, however. 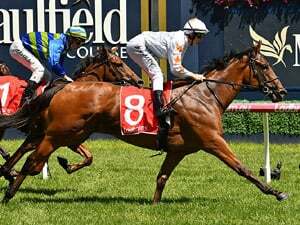 (3) SPEED WINNER was beaten by Havana Charlie on debut last October but has made progress since then and was an excellent winner over 1300M last time out. He’s up in class today but sure to be competitive. (4) CLEAN UP HERO and (6) HAWAII BOSS are others with big chances.